A company’s financials are beyond importance in making a decision to purchase the stock, but as the requirement for social corporate responsibility increases due to social networking, ethics are now just as vital in many industries. After all, most people don’t want to be associated with a company that has placed profits first and societal concerns last. Take, for example, the sell off Bank of America Corp (NYSE:BAC) experienced after it was blamed for much of the sub-prime mortgage crisis. The company still collected on defaulted loans, but people were left to suffer due to the bank’s lending policies. But what are the companies in which you can feel good about investing? Ethisphere Institute, a New York City-based think tank, announced in March what they deem to be the most ethical companies in the world. The vast majority of the firms are from the United States, though some are from Europe. This year’s list covers over three dozen industries, ranging from wind power to aerospace. Nearly 5,000 companies were nominated, but only 145 were added to the list. Let’s take a look at three firms among the most prominent publicly traded companies on the list. Investing in these firms just might help you sleep well at night. General Electric Company (NYSE:GE) has made the Ethisphere list since its creation in 2007. According to an Ethisphere statement, General Electric Company (NYSE:GE) was added for promoting ethical business standards while showing leadership. Ethisphere also values companies that participate in the communities they serve. 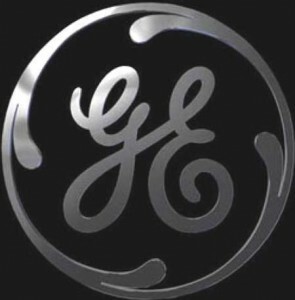 General Electric Company (NYSE:GE) is still at about half of its pre-recession high of around $42 per share. Right now, it’s trading in the low-$20 range, making this a prime buying opportunity. Starbucks Corporation (NASDAQ:SBUX), another company to be added to the list in each of its seven years, is the only firm in the restaurants and cafés category to be added this year. In fact, the only other time a restaurant or café made the list was when McDonald’s Corporation (NYSE:MCD) was added in 2009, but then removed the following year and hasn’t made it back since. According to Starbucks Corporation (NASDAQ:SBUX)’ website, the coffee firm feels conducting business ethically is vital in today’s market. While many consider Starbucks Corporation (NASDAQ:SBUX) to have over saturated communities throughout North America, there is still huge opportunity for international growth. Revenue is substantially increasing, and with a profit margin at around 10%, this stock is solid. Last year alone, the company earned nearly $1.4 billion. American Express Company (NYSE:AXP) was put on the list for establishing business practices that raise the bar for similar firms, according to Ethisphere. Alex Brigham, executive director of Ethisphere, said the ethics shown by American Express Company (NYSE:AXP) go beyond lip service and goodwill. Instead, the company links ethics with its performance and profitability. He said American Express Company (NYSE:AXP) should be particularly commended for making the list during tough economic times. The business is also one of 23 companies to make the list each year. American Express is a safe company in which to invest, and can be a solid pillar for your portfolio. The firm continues to take in revenue while keeping expenses down, which creates an attractive profit margin that is consistently above 10%.